Along the Thai-Burma border the rubbish dump of Mae Sot, Thailand has become a refuge for many migrant families from Burma. Approximately sixteen houses, constructed from bamboo and plastic materials currently exist at the rubbish dump. Living conditions are bleak for many families at Mae Sot’s rubbish dump with lack of access to basic needs and services, such as clean water and medical facilities. In response, organizations such as the The Best Friend have sought to transform the living conditions for many of the migrant families living at the rubbish dump. The Best Friend project started as a collaborative effort of two socially active monks from Burma. Growing up under the ruthless military regime and witnessing horrendous atrocities committed by Burma’s ruling government, Ashin Sopaka and “King Zero” set out to establish an organization that will provide a voice for people to communicate their struggles with world. Although primarily focused on education related initiatives, in 2007 the activities of The Best Friend project expanded to include work with people from Mae Sot’s Rubbish Dump. The main role of The Best Friend project is to provide basic services to migrants living at the rubbish dump. Organizers supply medicine to individuals who cannot go into town for medical treatment and distribute food to families at the dumpsite. Organizers also provide opportunities for families at the rubbish dump to send their children to school, by linking them with local migrant schools in the surrounding Mae Sot area. Additionally, organizers assist migrant families to relocate from the Rubbish Dump into better living situations. The residents at the dump site are ethnically diverse from various regions inside Burma. 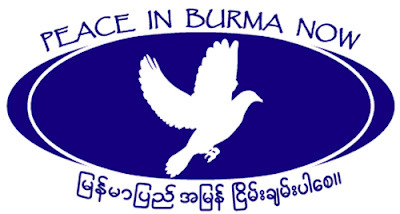 Although coming from different backgrounds these individuals share common hardships of living in Burma. According to co-founder “King Zero” many people inside Burma do not earn sufficient income to meet the basic needs for their survival. Even though individuals work long and arduous hours, often times from dawn to dusk, they receive as little as 1 U.S. dollar in return, which is not nearly enough money for workers to support themselves and their families. The lack of opportunities and long working hours with little compensation in exchange has forced many individuals and families to flee Burma with the hope of better life opportunities in neighbouring Thailand. Although the length of stay varies among migrant families at the rubbish dump, typically families stay anywhere from 6 months to one year. According to co-founder “King Zero” the people at the dumpsite do not choose to live at the dumpsite because of the poor living conditions and high susceptibility to disease, yet unfortunately many individuals and families find themselves living on rubbish because of their limited social network connections in Thailand. When many people leave Burma they often arrive in Thailand with very little contact to other social groups that could assist them in finding suitable homes and work. The combination of not knowing how to connect with the right social network and or the fear of doing so due to their illegal status severely limits options and forces many people to resort to living at the rubbish dump. Although the rubbish dump is not a healthy environment for inhabitance the site does provide people living there the opportunity to earn a greater wage than in Burma. Workers at the site can earn roughly 100 baht (3 U.S. dollars) by collecting recyclable materials at the rubbish dump. The collected recyclables are often sold to local shops in Mae Sot and just over the border in Myawaddy, Burma. Although the rubbish dump provides a source of income for people living there, working at the site does come with risk and serious threat to health and security. Migrant workers at the rubbish dump face serious risks to their health, including skin, chronic and respiratory diseases, sickness from drinking contaminated water and nutritional deficiency due to lack of proper food. Aside from health risks, migrant workers also face the threat of arrest from Thai authorities. According to “King Zero”, Thai police raid the rubbish dump sometimes one or two times a month to arrest and deport illegal Burmese migrants living at the site. Oftentimes illegal migrants have to flee to neighboring forests and hide or bribe police officials in order to avoid deportation back to Burma. In the case of migrant families deported to the Myawaddy, many migrants stay inside Burma temporarily until sufficient time has passed and it is safe for them to illegally cross again into Thailand and return to the rubbish dump. According to “King Zero”, migrant families return to the rubbish dump due to the greater opportunities they find there in comparison to their hometowns in Burma. Since the inception of The Best friend work with the people of the Mae Sot rubbish dump, the organization has seen some success. Most recently, organizers raised enough money to construct thicker roofs for families at the rubbish dump. In total, fourteen families received new roofs to withstand exposure from the weather conditions. Relying primarily on individual donations, organizers of The Best friend hope to continue their current initiatives with the migrant families living at the rubbish dump as well as expand their activities with the construction of a well to provide clean water. Wat Tut is 42 and has lived on the rubbish site for 4 years. All of his possessions are made of things he has found around the dump, even the walls of his home and his children’s toys. The water him and his family drink is from the nearby lake, which is unsanitary and has given them bouts of diarrhoea. Wat Tut explains that the body gets used to drinking and eating in the dump, and that it’s usually when people have left the dump for a while and returned that they get ill. He says that he is used to the smell and the situation, and that the children living there are usually hardier than the adults because if they were born there because they are acclimatised to the living conditions. “We survive because of the rubbish, so we have to live on the dump.” Wat Tut earns around 100 – 120 Baht per day by collecting rubbish to sell, and has to feed himself and his wife and 3 children with that money. Wat Tut says that beer cans and plastic cups used to earn 40 Baht per kilo a few years ago, but that the price has dropped to only 20 Baht per kilo recently, making life even harder for the rubbish workers. Many more Burmese migrants have moved into the dump in the past couple of years. Wat Tut says that he understands this, because although he cannot save any money from working in the dump, at least he and family are not starving in Burma. He says: “There is no work in Burma. Living in the rubbish dump is preferable to living in Burma.” He would not want to move into a refugee camp because he wants to work and support his family. This is often the reason why people stay in the dump. People live, marry, give birth, bring children up and die in the dump. Generations of families live there. There is even a dump school, the ‘Skyblue School’, which Wat Tut’s children attend. Not all children go to school regularly because they are sometimes needed at home to take care of their younger siblings while their parents work, or are sent out to work themselves. If parents have more than one older child the siblings often share the responsibility of work or babysitting, and will attend school on a rotational basis. When asked about the fear of arrest, Wat Tut tells us that the police come in the middle of the night or the early morning to arrest people, and so they can take the rubbish bags stacked outside the worker’s houses. Wat Tut says that workers don’t dare to sleep, and are always keeping watch for the police. If the police drive to the dump following a rubbish truck, the workers can run and hide, but if they surprise them in the night then they can always catch people or receive bribes. Wat Tut tells us that this year there has been a noticeable decrease in foreign aid like food, blankets and plastic sheeting to help the dump workers reinforce their homes against the weather. They have had some support, but it had been very marginal. Mia Thein Mia Thein is 29 and has lived and worked on the rubbish dump in Mae Sot for more than ten years. During that time she has only returned to her home village in Burma twice. Mia Thein is five months pregnant with her second child, yet she still works in the rubbish dump picking through the piles of refuse and bagging up similar items. She typically earns between 85 – 90 Baht from selling the rubbish on to factory owners, who then recycle the plastic cups or glass bottles into items they can sell. Mia Thein’s husband works outside the dump taking jobs on a daily basis, sometimes farming or in factories. He usually earns between 70 – 80 Baht per day. The family’s food costs are in the region of 50 – 60 Baht per day. Mia Thein explains that this could be substantially lower if they could buy staples like rice in bulk, but that since food is often taken by police when the dump is raided they can only afford to buy food on a daily basis. Similarly the police have frequently taken and sold on the bags of rubbish collected by Mia Thein and the people she works with, so they usually carry the huge sacks of refuse around with them at all times. Mia Thein and her family face arrest on a regular basis. Two months ago she and her sister, brother and mother were arrested by the police. They were taken back across the border to Burma, where they had to pay 400 Baht each to the Democratic Karen Buddhist Army (which has been closely allied with the Burmese Army since 1994), who then let them back into Thailand. Her and her family therefore save any leftover money for paying bribes and costs incurred by arrest and deportation.